It looks like AT&T has decided to kick it up a notch when it comes to iPhone offerings. 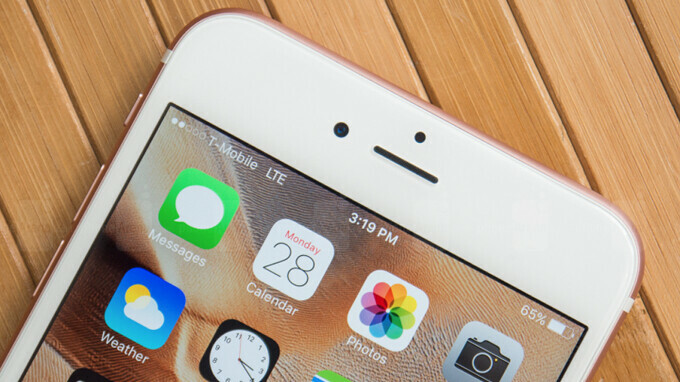 The US carrier plans to start selling the iPhone 6s and iPhone 6s Plus for more than decent prices. The folks over at 9to5Mac got word that AT&T will offer prepaid iPhone 6s and iPhone 6s Plus for $344.9 and $444.99, respectively. The deal will be available on AT&T's $45/month plan, but the price includes the cost of the first month, which reduces the price of the iPhone 6s and 6s Plus to $300 and $400. If the report is accurate, these devices will join the list of prepaid iPhones that AT&T offers at low prices alongside iPhone 6 and iPhone SE. In comparison, T-Mobile sells the iPhone 6s and 6s Plus for $450 and $550, respectively, so you'll be saving quite a lot ($150) if you decide to go for AT&T's deal. The only problem is we don't yet know when AT&T will kick off the new promotion. Rumor has it the deal will go live as early as today, but that's all we know for the moment. I'll probably get the iPhone 6s Plus since it should be the 32GB version which is enough for me. I bought the iPhone SE for $150 on AT&T prepaid just to use to FaceTime my family since they are mainly on iPhone and can't use Skype for sh!t. The front camera is trash on that phone and I can use the 6S Plus with the better front camera. Also better trade-in value on future phones. That made me chuckle. Good one. Oh, goodie nothing like paying $300 for a 3 year old iPhone. Especially an iPhone with a low resolution HD display. I am amazed that Apple still makes a newer iPhone 8 with the same low resolution display as the iPhone 6s or really the 6. Yet Apple charges $700 for an iPhone 8. As of right now you can get competition Android smartphones that offer and do more for less than $300. You can get full HD displays 1920x1080 with faster LTE speeds for around $200 brand new. I guess there goes that resale crap that people like to boast and brag about that iPhones have. I guess Apple has to get rid of all their stock. Considering they still sell the iPhone 6s in their stores. Heck Apple even came out with a 32 GB iPhone 6 last year. They must be sitting on a stock pile of old iPhones. Apple has to come up with ways to dump that stock build up. Its the last iPhone with a headphone jack so that probably explains the huge resale factor compared to the 7. Great deal for the 6S in my opinion, if it’s 32GB. An’t find a better overall alternative at that price. With great performance, camera, display, software, design, and good battery life, it’s worth buying over a new budget Android phone. I have see a one-month old iPhone 6s shutting down witn 30% battery at 6 degrees Celsius outside. I haven’t. Thanks for the info though. If I was an iPhone user I'd be all over this. Put a case on it and pretend it's an iPhone 8. Having said that, there are several new android devices in that price range that are superior like the Mi Mix 2, One Plus, Honor 8, S8, Mate 9 etc etc. Mate 9, Mix 2, and S8 cost Us$ 300?? Both our replies were removed. There was nothing there to warrant removal. The censorship on this site is becoming ridiculous. Yup. And we weren’t even notified. By the way that’s the first time I have noticed my replies being removed. Sorry, this is no bargain. PhoneArena trying to fool us again. It's a great deal for you're only into iPhones. No wonder the newer phones aren't selling well when they continue to sell the 6S for a fraction of the price, it's 95% the same as an iPhone 8 anyway. Apple does aware of this, and because of this exactly reason Apple plan cripple you device on purpose with software update....... you know the rest of the story. That’s why I’m still using 6s Plus. Also have the audio jack which was never a issue like it is for some. Love my half price AirPods. Now only if my battery could hurry up die so I can have it replace for 29.99. Anyone know the spec for this 6s plus? That's an easy question: It's the same as the iPhone 6-7-8 in every way except with a different SoC & the 8 is their experiment to make the phone cheaper while charging the public a couple 100 bucks more. I'd say it worked perfectly. Genius.